There's always something arts-related to do in Mobile! 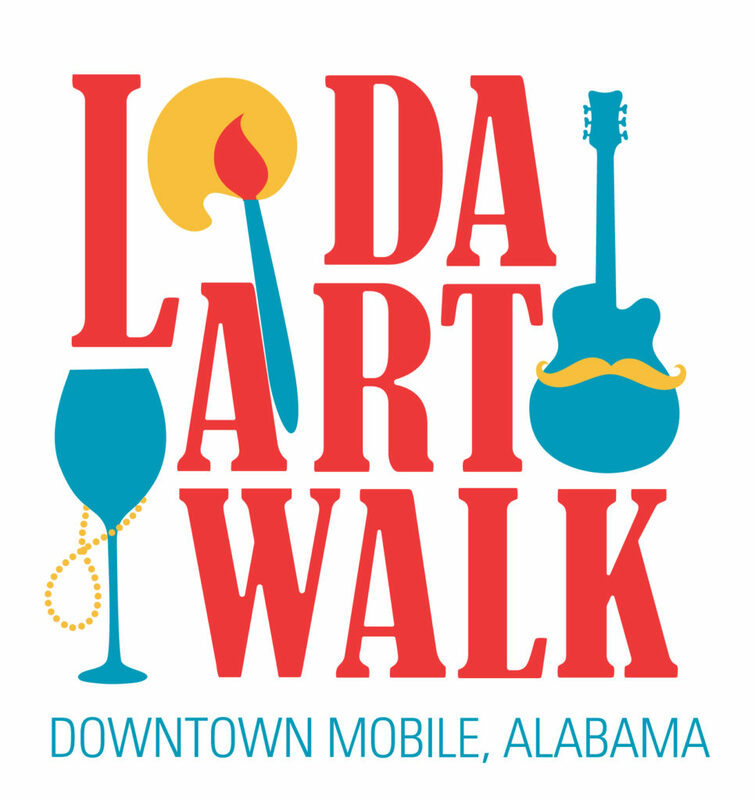 LoDa ArtWalk is a montly event where in the community is invited to come downtown and enjoy local art, artists, galleries, and other great venues. ArtWalk takes place every second Friday of the month from 6 to 9 p.m. in the Lower Dauphin (LoDa) Arts District. The event takes place through a partnership between the Mobile Arts Council and the City of Mobile Special Events. During this event, Dauphin Street is shut down and the doors are open to local art galleries, institutions, studios and unique shops for the public to come inside to view beautiful artwork, sample delicious foods, and hear the music of Mobile. This FREE family-friendly event is a staple of Mobile's arts and culture, with over 1,500 people visiting the MAC gallery to view the current exhibitions and many more exploring the vendors set up outside. A map listing each ArtWalk happening can be located on the LoDa ArtWalk Facebook page and the Mobile Arts Council Facebook events. Vendors wishing to display artwork in Bienville Square must be approved by Mobile Arts Council by submitting an application along with work samples to MAC. Vendor fees are $10 for MAC members and $20 for all non-members. For individuals that are interested in promoting an organization or service, only dedicated arts nonprofits are permitted to participate. Applicable organizations must also submit an application. For all other questions, please refer to our ArtWalk FAQ sheet.